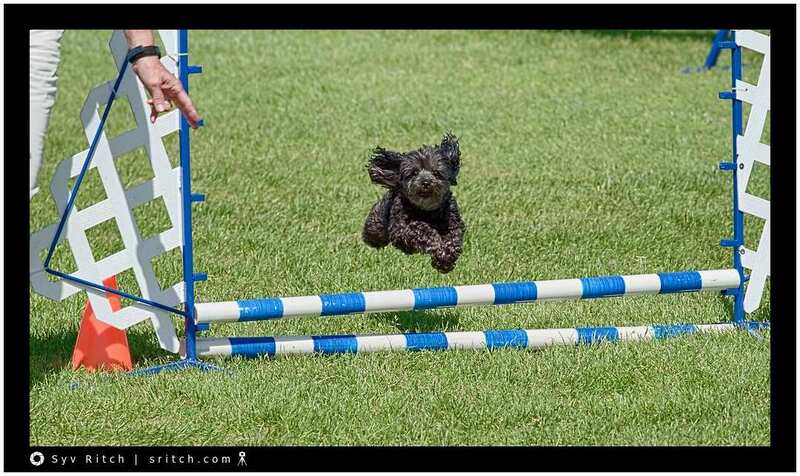 In agility competition, the dogs run in various categories, mostly according the weight/size of the dog and they raise the size of the obstacles according to the dog’s category. The fastest dogs where the Border Collies and the Pitbulls. They are always the fastest. They get the speed because they are not too big or too small and they have the agility to make quick turns. The “funest” (aka the most fun) dogs to watch were the small breeds. They don’t have the speed, but they have the style and the attitude, just like this dog. The dogs don’t know the order of the obstacles, so they have to follow the instruction of their masters. The people don’t know the order of the obstacles until the beginning of the race of their group.